This is the first in a series of interviews with deep tech investors, taking the temperature of their particular fields at the start of 2019, and reflecting on the year gone by. What does 2019 hold for the quantum computing field? This was my question to Christophe Jurczak, CEO of Quantonation, a French early-stage venture fund launched in 2018 dedicated to ‘Deep Physics’ startups with a focus on the emerging and disruptive field of quantum technologies. They recently invested in KETS, a Bristol-based company with the world’s first on-chip quantum encryption technologies, and LightOn, a Paris-based quantum computing startup working on optics-based hardware for acceleration of machine learning algorithms. GM: Before we begin Christophe, maybe you could start by giving us an overview of what the quantum startup space in Europe is looking like? CJ: What was interesting about 2018 is that there was much more interest from fellow investors in quantum computing, particularly in the last quarter. And the focus is, as far as I can see, mostly on software: ‘quantum computing as a service’, let’s say. On the side of the startups, what I’m seeing over the last couple of months is that researchers – they might be senior scientists or postdocs – starting to create companies, or at least thinking about creating companies. In Europe, we’re behind the U.S. or Canada in that respect, but there are more researchers who started showing an interest, some toward the hardware side too. Particular areas of interest are in the U.K., also in France, a little bit in Germany, and the Netherlands. I’m not sure about the startup ecosystem, but Sweden has announced plans for supporting the quantum industry, so is certainly a country we should have a look at, along with Finland. So things are changing for sure, and there are all these great opportunities – far more than there were a year ago. GM: So what in particular happened in terms of the last quarter? More deal flow, higher tickets, what is it that’s changed? CJ: It’s the volume of companies. They’re early, so not necessarily going through a formal fundraising process, but even at the pre-seed level, there are some angel investors getting involved in small tickets – €50,000 to €100,000 – in order for these companies to start. There are simply more deals. GM: You mentioned ‘quantum computing as a service’ – can you expand a little? CJ: There’s a couple of cloud platforms that are being created by Google, IBM and Rigetti in the space of quantum computing. And all of them have announced partnerships with software companies who are using these platforms on the application side to offer services to final customers. So that’s the model currently being implemented. Some European software startups already have agreements already with Google, IBM and Rigetti. Rigetti actually uses the term ‘quantum computing as a service’ in their marketing. The hardware companies are building to the point that they can offer software startups the opportunity to use this for cloud infrastructure – so you could argue it’s rather close to cloud infrastructure as opposed to SaaS companies. In particular, Google has announced they are mainly focusing on developing the platform, not working themselves on the application layer, but giving opportunities to startups to develop the application layer themselves and to address the needs of the final customers. GM: As an investor then, are you more interested in startups that are creating applications based on this infrastructure? You could argue that’s more doable and less risky as an investment – and most likely cheaper too. CJ: I think for investors who don’t have, or who don’t necessarily want to invest a lot into, understanding the science or technology deeply, or maybe those who don’t want to invest a lot in building a team, I think it’s more straightforward to invest in startups that work on the application. It’s closer to what they know, and there is certainly a category of investors who are in deep tech but don’t have the quantum computing expertise, so focus on software. As we at Quantonation have more expertise across all layers of the stack, we have an interest more broadly, like in compilers for example, error correction, and of course hardware too. At the end of the day, at this stage, it’s really important that we have some investments in hardware companies, because in the short term I think that’s still most important for now. But you really have to have a lot of expertise in this part of the stack to figure out what the good investment opportunities are. And on the hardware side, I would say it’s really not clear today, and I think it’s a great opportunity and a possibility from that perspective, as there might not be a single winner. My impression is that we’ll have several hardware companies working on very different technologies, who will all be on the market. As long as they have this platform that allows application-layer companies who benefit from these different hardware options, it’s fine. These application companies don’t need to understand the deeper details of the hardware, they just need to know which to use for their specific application. In the middle – the compiler, error correction, and simulation companies, for example – these areas are really critical to achieving speedups, and informed investors will be the ones spotting the good opportunities. Another area of interest to me surrounds acceleration of machine learning algorithms, in quantum-inspired algorithms – something that‘s not strictly quantum but starts to show some benefits. And hybrid, that’s a big trend we see now: how to combine quantum processors and classical processors, whether GPUs or CPUs or optical processors, in order to achieve a speed that’s not exponential speed up, but some significant speed up. There can also be an application perspective – how to combine performing classical algorithms and some quantum routines, let’s say, to achieve a speed up in the spirit of high-performance computing. This ‘hybridization’ I think is a really important space we’ll see the growth of – not quantum alone, which is longer term, but quantum plus classical allowing us to make the most of machines that are not error corrected, that have less and lower-quality qubits, but are good enough to show benefit in the 4 or 5 years to come. It’s more than NISQ (Noisy Intermediate-Scale Quantum), so really, you find a way to benefit from these relatively lower-quality machines now. The most interesting application layer company will be the ones who have the ability to understand that and to build a product that provides the speed up. Or better performance on pure classical machines. GM: We’ve talked a little bit about some of the over-arching trends you’re excited about – are there any particular companies you have your eye on, either as an investor or just looking on from afar, that you think are doing interesting things going into 2019? CJ: There’s a couple of companies I cannot really talk about just yet, but for example, PsiQuantum seems to be doing very interesting things, making some progress with their optics-based technology. They’re based in Palo Alto, and there’s not much information available for now, but they are disclosing more bit by bit. New architectures are going to probably be made public. IonQ made announcements in December – they’re really exciting as they are showing that there are alternatives to superconducting qubits, as they’ve made a lot of progress. For Quantonation, we’re looking at several opportunities in superconducting qubit space, as well as neutral atoms, as opposed to ions – so barium, strontium et cetera. It’s a different category, and there’s a couple of startups that are emerging in this field; there could be some really interesting short term applications. We’re pretty excited also about opportunities in the simulation space. Simulation of materials or of chemistry is sort of low hanging fruit and something that will be really interesting to watch over the course of the year. GM: And what about Europe? CJ: I think there’s a significant number, and I don’t know how many precisely, but probably 5 to 10 European research teams, or members from research teams, that are working on really interesting concepts of companies at this stage. And whether they will do it themselves or be integrated or be incubated, I don’t know yet, but for ourselves, we will most certainly make some pre-seed investments to help these companies get off the ground to be the future champions. We are not a pre-seed investor, but I think in Europe, the opportunity is now – we’re really at the very early stage, and it made sense for us to invest really, really early, and earlier than we would do normally. So you will see interesting companies being created over the next months. And maybe even a new incubator. QTEC in Bristol has done an interesting job, for example. I’m not sure if there are enough companies to justify a load of quantum incubators, but at least there’s a significant number of companies now. It’s an interesting time for Europe because it looks like finally, things are happening. More companies, more startups, more investors, some structuring for the ecosystem. 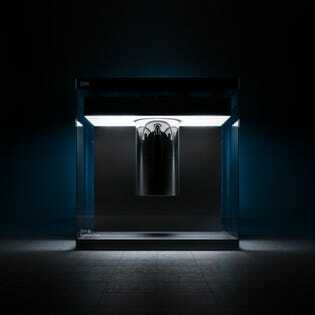 So certainly this year will be, not the year for quantum computing in Europe, but certainly a very important year. GM: So what do you think are going to be the big events or the barriers coming up in 2019 we should keep our eye on? CJ: I think for the whole sector, continuous progress by Google or IBM on the number of qubits and the fidelity of their work, to the point they reach quantum advantage, is really important for everyone. There were some prospective announcements last year that have not yet been achieved yet, so I think it’s going to be important for the whole sector in terms of bringing more credibility and confidence for investors. For Europe in general, the challenge is to find enough investors interested in the sector, who understand the specificities. It’s relatively long-term opportunities, even for deep tech, so investors have to take some risk early on. Early stage is one thing, and then once the company is 2 years let’s say, they’ll be more mature and of course will need more funds. So it’s about whether within the next 2 or 3 years there’s going to be enough investors who are ready to put significantly more money into the field, that’s going to keep companies on track here. But externally, I don’t have an opinion about that. I think we just need more companies, more research teams interested, more people or researchers with an entrepreneurial mindset to create great companies, and we’re going to help bring them off the ground. GM: Are there any conferences or events, either you’ll be going to or you’ll be keeping an eye on, whether it’s the research space or the entrepreneurship space that you think is of particular interest in 2019? CJ: The European Flagship Conference, at the end of February, is going to be interesting to help understand what’s happening, what’s the progress, what people are doing across Europe. The Creative Destruction Lab in Toronto have a quantum machine learning stream with exciting startups coming out of it usually, and they’ll have them at their June event. What’s going to be interesting is who are the winners. The Q2B conference on quantum business in December in Mountain View was really a good one. We had good discussions with presentations from industry and research, on both software and hardware. It’s one of the most important specialized conferences. The next one will probably be in December again. We ourselves are working at co-sponsoring the first quantum computing oriented events towards users, industry, and investors in Paris in June also. The really interesting ones for us are not necessarily the research conferences, there are many of these, but also the ones with the opportunities to meet with startups, so Hello Tomorrow is therefore also of interest.